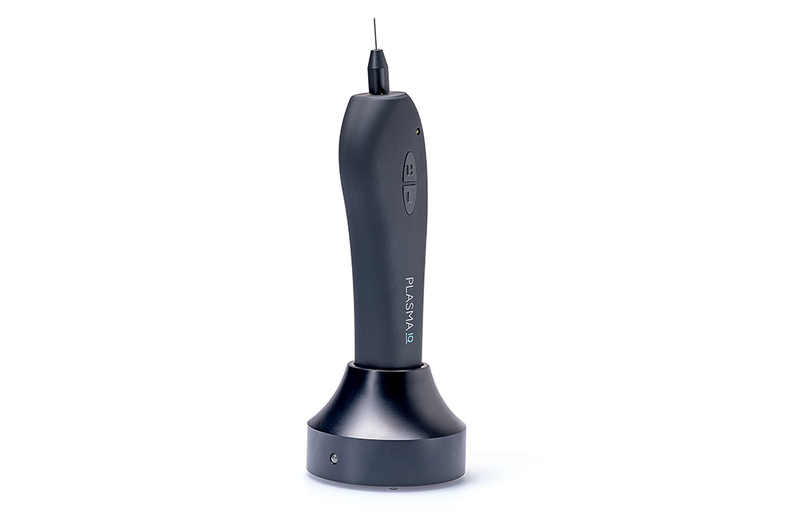 Plasma IQ, the portable micro-electrosurgery developed from Berger&Kraft to eliminate the first signs of aging and restore young look, is now available in the elegant and sophisticated matt version. Plasma IQ is an intelligent solution for non-invasive eyelids treatment, giving the effects after the first treatment. This medical device uses microbeams of plasma working only on the epidermis level, without damaging the skin, therefore with a limited downtime. Plasma is created between the edge of the tip of the device and patient’s skin thanks to a small curve, which, in a controlled way, is able to sublimate epidermis resulting in skin shrinking and lift. It is a wireless device, facilitating the manoeuvring of the treatment device and ensuring maximum comfort of use and its treatment is selective with no damage on the surrounding tissues.